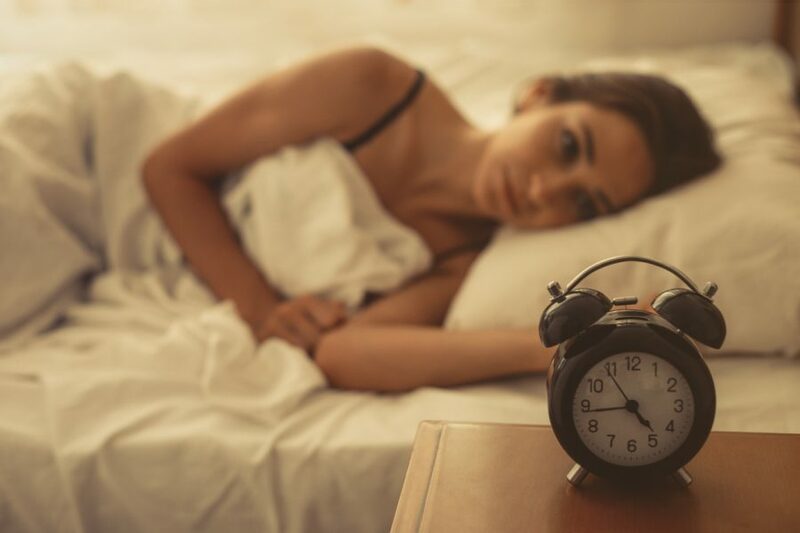 At some point, we all have trouble sleeping—bad day at the office, not eating right, rough night—it seems almost any daily rigor can take its toll on our precious slumber. While sleep aids are readily available, they can do more harm than good. But it appears medical cannabis can naturally and safely put you to sleep without pills or counting sheep. 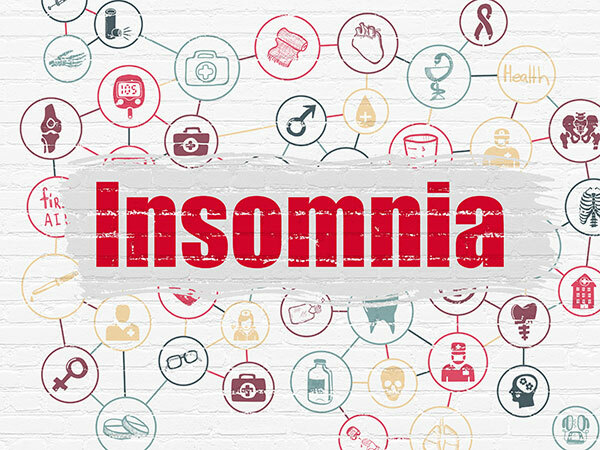 Insomnia is a common sleep disorder that makes falling and/or staying asleep difficult, resulting in lack of energy and focus. It can be mild to severe, depending on frequency and length. Transient: lasts a few days to a few weeks. Acute/short-term: continues for several weeks to a few months. Chronic: persists at least three times a week for more than six months. In rare cases insomnia can be an illness itself, not attributed to any medical, psychiatric or environmental causes. While its roots aren’t well understood, without proper diagnosis some sufferers cope by napping, worrying about sleep, and drinking coffee and alcohol—which only worsen the problem. Sleeplessness persists and obsession grows more severe, creating a fear-driven cycle that becomes the insomnia’s main cause. The most common cause, it’s a symptom of a variety of medical, psychiatric or environmental conditions. The first step is to identify possible triggers in daily life leading up to bedtime that could prevent a good night’s sleep. Stress: daily routine, personal problems and responsibilities, traumatic or life changing events (death, divorce, job loss). Psychological: fear, mental and sleep disorders. Physiological: medical conditions, chronic pain (arthritis, fibromyalgia, acid reflux), exhaustion, inflammation, and diseases (cancer, diabetes, Parkinson’s). Lifestyle: poor diet/lack of nutrition, travel or work schedule, and bad sleep habits (erratic bedtime, naps, disruptive sleep environment). Stimulants & sedatives: sugar, MSG, simple carbs, cocaine, caffeine, nicotine, opioids, alcohol, prescription and over-the-counter medications (Midol, Excedrin, Advil). Hormonal shifts: testosterone and estrogen fluctuations. Not feeling rested the next day. Looking tired (baggy eyes, bloodshot eyes, dull skin). More accidents/errors at school or work. Popular nonbenzodiazepines Ambien (Zolpidem), Lunesta (Eszopiclone) and Sonata (Zaleplon) successfully decrease the time it takes to fall asleep and increase sleep time by about 25 minutes, only 10 minutes faster than a placebo, so it’s possible that these pills change your mindset more than anything. Despite being helpful for some, their numerous potential side effects often outweigh the benefits, which include addiction, amnesia, drowsiness, hallucinations, weird dreams, and even suicidal thoughts. Most over-the-counter (OTC) sleep aids include antihistamines that, if used repeatedly, decrease their tranquilizing effects and require a stronger dosage. This abundant use can increase side effects like daytime drowsiness, the exact opposite effect, along with constipation, dry mouth, fuzzy vision and the inability to urinate. Common medications are Diphenhydramines (Benadryl, ZzzQuil, Unisom SleepGels) and Doxylamine succinates (Unisom SleepTabs, Kirkland Signature Nighttime Sleep Aid, CVSHealth Nighttime Sleep-Aid). Available as capsules, tablets, teas and extracts, alternative medicines like valerian root, passionflower, lemon balm and chamomile have proven to help relax the body and induce sleep. Melatonin helps regulate the body’s natural sleep-wake cycle and reduces how long it takes to fall asleep. Vitamin B12, calcium, and magnesium also play key roles in sleep and are available in similar forms. Bad habits lead to scarce and poor sleep. If they persist insomnia can increase the risk of stroke, high blood pressure, and cardiovascular disease. Break them and create a regular routine that emphasizes a positive sleeping environment, diet and exercise. This improved lifestyle will minimize stress and, as a result, will enhance your sleep quality, length, and overall health. Start with some of these natural remedies and stick to them before taking any OTC or prescription drugs. Have clean sheets, soft blankets, supportive pillows and a spacious mattress. No working or eating in your sleep area. Take a warm shower or bath before bed. Read a book in bed before falling asleep. Wear pajamas or bedtime clothes to remind your brain it’s bedtime. Refrain from stimulating activities and stressful situations before bed. Avoid exposure to bright screens before bed (TV, smartphone, computer). Dim the lights and/or light candles so your eyes gradually adjust to the darkness before going to sleep. Go to bed at the same time every night and wake at the same time every morning. Sleep in a mild climate, depending on preference, that isn’t too cold or too hot. Wear a sleeping mask and/or earmuffs to block all distracting sights and sounds. Listen to calming music or use a white noise machine. Frequent stimulating exercise at least 30 minutes a day (jogging, swimming, lifting weights) and/or relaxation techniques (yoga, meditation, tai chi). The more energy you use during the day, the sleepier you’ll feel at bedtime. Morning workouts are best as they affect body rhythms that affect sleep quality, and provide a shot of adrenaline needed to endure the day. If you insist on a nighttime workout don’t do it close to bedtime; raised body temperature could take hours to drop, making it harder to sleep. Light breathing techniques before bed can improve mood and sleep. Replace negative sleep thoughts and feelings with positive ones. Cut out fast and processed foods. Avoid heavy late night meals (a small snack may help). Avoid fatty, spicy and acidic foods that could cause acid reflux. Abstain from caffeine and alcohol 8 hours before bed. Both are diuretics and alcohol inhibits the deep sleep that makes you feel rested. 30 to 35% of Americans have symptoms of insomnia. 9 to 15% of Americans experience daytime difficulties because of insomnia. 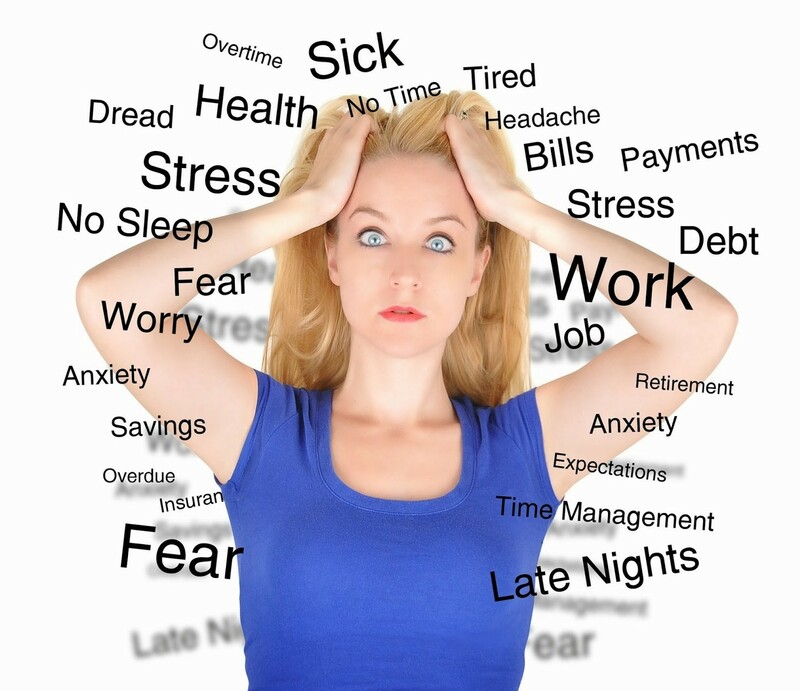 Over 50% of Americans regularly lose sleep because of stress and anxiety. 15 to 20% have a short-term insomnia disorder. 10% have a chronic insomnia disorder. 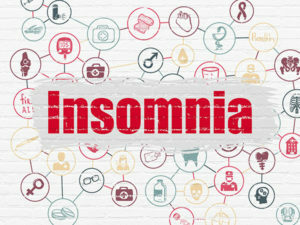 35% of insomniacs have a family history of insomnia. Nearly 100% of people who suffer from a mental disorder also experience insomnia. 95% of insomniacs try prescription sleeping pills. 37% fall asleep at the wheel. 100,000 car accidents occur (with 1,500 fatalities) a year because of sleepy driving. The U.S. economy losses more than $150 billion every year from a sleepy workforce. Insomnia costs the U.S. government $15 billion every year in health costs. People today sleep 20% less than 100 years ago. The body’s endocannabinoid system isn’t just responsible for unlocking cannabis’ pleasing psychoactive effects. It also helps regulate metabolism, the circulatory and respiratory systems, and other bodily functions like sleep. While there isn’t much definitive evidence to illustrate how medical marijuana and insomnia react, cannabinoids like THC naturally regulate the sleep/wake cycle, increase drowsiness and therefore help you fall asleep faster, so it could actually be the result of a defective endocannabinoid system. Unlike energetic and inspiring sativas, indicas and indica-dominant hybrids are ideal since they naturally produce relaxing, sedating effects that calm restless nerves and quiet sleepless nights. They can also reduce symptoms associated with illnesses (pain, inflammation, anxiety) that also keep you awake. Some of the best indica strains for insomnia are Granddaddy Purple, Northern Lights, Querkle, Ogre Berry, and Tahoe OG Kush. Inhaling (smoking or vaping) produces fast, almost instant results that last around 3 to 4 hours and should be taken 1 to 2 hours before bed. Some beneficial edibles include Sensi Chew Insomnia, Indica Cheeba Chews, and Day Dreamers Indica chocolates. Consuming edibles takes time but produces heavier and longer knockout effects that last about 6 to 8 hours and should be taken 3 to 5 hours before bed. It’s important to know that while product categories and anecdotal info can help steer you in the right direction, everyone is different and can experience variations in effects and duration. So it’s best to start slow with a small dosage, especially with edibles, and simply work your way up from there. Despite how easy it is to get weed from an unlicensed source, don’t self-diagnose or self-medicate. Instead get a California cannabis card or a New York medical marijuana card online from one of NuggMD’s qualified doctors and find out which strains, edibles and other mmj products are right for you. The process lets you ask the doc anything about medical marijuana and insomnia. We also advise you do some research in advance. 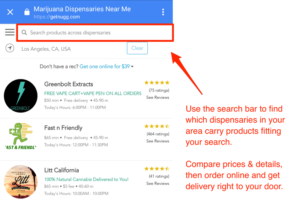 Read product reviews on our blog, ask your friends, consult with the cannabis dispensary‘s budtender taking your order (whether online cannabis delivery or storefront), or even go so far as to ask your primary physician what he or she thinks. Decreases the time it takes to fall asleep. Influences the sleep cycle by increasing slow-wave (deep) sleep, a crucial step to the body’s restoration process. Longer sleep time and quality, especially when taken before bed. Respiratory stability from adjusted serotonin signals, keeping sleep steady and uninterrupted. 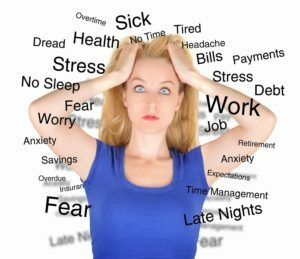 Stress, anxiety and insomnia from withdrawal if used too frequently. Possible next day grogginess and fogginess from too much THC (especially with edibles). Shortened or blocked dream sleep a.k.a. rapid eye movement (REM) sleep, which appears necessary to maintain memory, behavior and a positive attitude throughout the day. REM rebounds create more frequent and vivid dreams due to a lack of REM sleep. 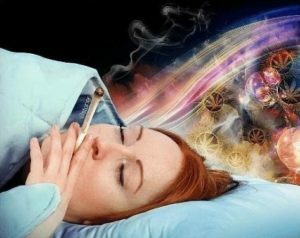 An early 1970s experiment indicated that medical cannabis could aid insomnia by increasing deep sleep and decreasing middle of the night interruptions. A 20mg THC dose reduced the time it took to fall asleep by almost an hour while just a 10mg increase offset the result. More clinical trials are needed to understand how mmj can better treat it and where to find the best strain to treat the root problem/s. Depending on its ratio to THC, CBD appears to also help, only without the enjoyable mind altering effects. Another study determined that CBD, more so than THC, helped lab rats sleep better. It extended sleep time, affected REM sleep (suggesting it might also suppress dreaming), and contained alerting properties similar to stimulants yet had an equalizing effect that could help control sleep deprivation. “I’d be the first person to say ‘no way’ to using pot and had never used it before. Now I’m a believer…It has been life changing. It not only helps with my insomnia but also calms down my intestinal issues. I was on Ambien for 3 years and glad to be off it.” –Rex L.
“I am an 85 year-old retired Firefighter who had never really been interested in smoking, or even trying medicinal marijuana, but my grandson convinced me to try [medical marijuana] for my pains and insomnia…I have to say, I was very pleased…I was asleep in about 30 minutes and had the best night sleep that I have had in a long time. I am now a believer and a patient for life.” –Bill F.
“Over the year I’ve suffered from chronic insomnia and tried numerous drugs and things to deal with my sleeplessness. Lately it’s gotten worse, threatening my ability to even drive in a straight line. I accidentally found cannabis and as just like that, I know how to get a good night’s sleep.” –Kay S.